* Skinless Poultry: leaving off the skin will greatly reduce the fat in poultry, making for a more heart smart diet. * Cabbage: This vegetable is a great food for a healthy cardiovascular system. Eaten raw is best. * Grapes: Easy to get and loved by most, this fruit is also good for a healthy heart. * Raspberries: High in anti-oxidants this fruit offers benefits to your heart too. 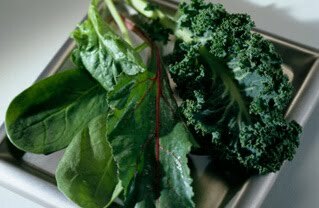 * Leafy greens: the calcium in leafy greens absorbs much better in the body than calcium in dairy products. * Beans: beans are low in fat, high in fibre, inexpensive, and have a high amount of non-animal proteinthat helps prevent calcium loss. * Low fat yoghurt: it is high in calcium and is easier to digest than most other dairy products. It also contains lots of vitamin A and protein. * Tofu: Also high in protein and a great source of nutrition for your bone health, tofu is very versatile. * Eggs: not only are eggs loaded protein, they are also full of vitamin D, which helps the body absorb calcuim more efficiently. My first iPad post!!! Yay! Made By Joel - LOVE IT!! !